Ashish Shukla is an Indian journalist and author who has his new book:"HOW UNITED STATES SHOT HUAMNITY: Muslims Ruined Europe Next" released worldwide. He also runs a website: www.newsbred.com which is antidote to boardroom bulletins that passes off as news by the mass media. 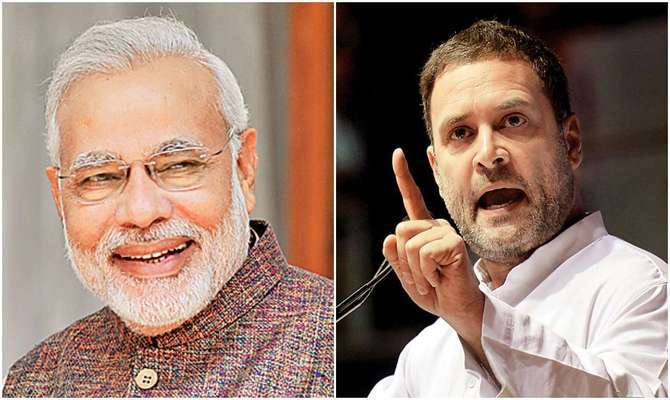 Two issues which could bring Rahul Gandhi's campaign to a grinding halt An early call in the day would be taken by Election Commission if Rahul Gandhi indeed could contest the 2019 general elections after scrutinizing his nomination papers in Amethi. 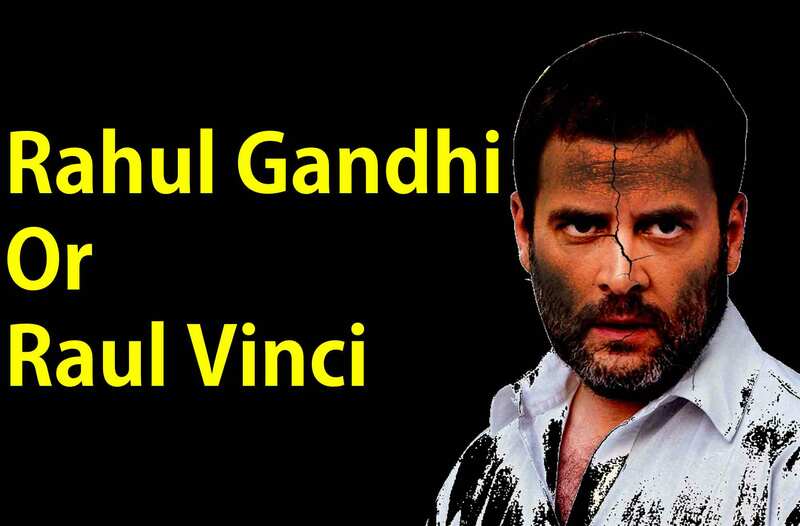 Separate complaints filed in this regard claim that Rahul Gandhi had declared himself a British citizen in the United Kingdom in 2004. As per the Representation of People's Act 1951, an individual who is not an Indian citizen can't contest elections. 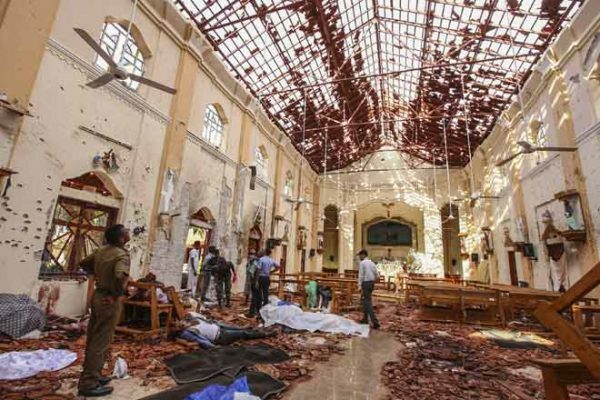 No outrage on Lanka as in Christchurch shootings: The face of our Liberals The Sri Lanka tragedy was already ebbing in a matter of hours. There are no editorials underlining the threat of Islamic extremism to the free world. 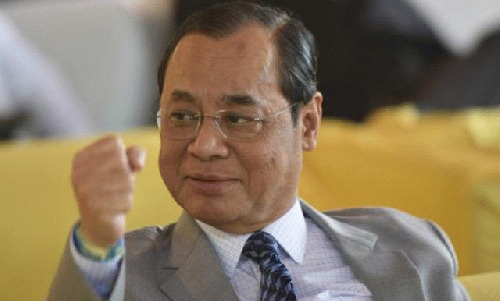 Justice Gogoi, the plot and the things you don't know You wouldn't know, if you are a reader of Indian Express, the woman-staffer wrote her allegation to 22 Supreme Court judges on April 19, 2019--yes, the very day when these publications took up the matter!!! Digvijay Singh is not the only "saffron terror" mongerer It's Digvijay Singh's moment of truth on "saffron terror." Sadhvi Pragya probably would make him pay for it in Bhopal. There are many though who wouldn't be called to account. Let's name them too and hold them up in public eye. 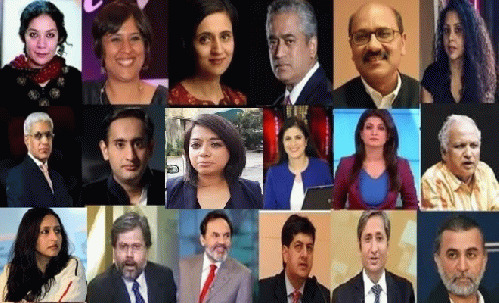 Keep these questions in your quiver against suspect media in Modi 2.0 As 2019 Lok Sabha polls unroll, I want you to look at the faces in the image above. Ask them a few simple questions on social media. Most likely they won't reply. But you would know not to trust them. It's important as Prime Minister Narendra Modi gets set for his second term. It's important they lose respect in your eyes for they have set a matrix and don't allow readers to come out of it. Your ignorance is their strength. 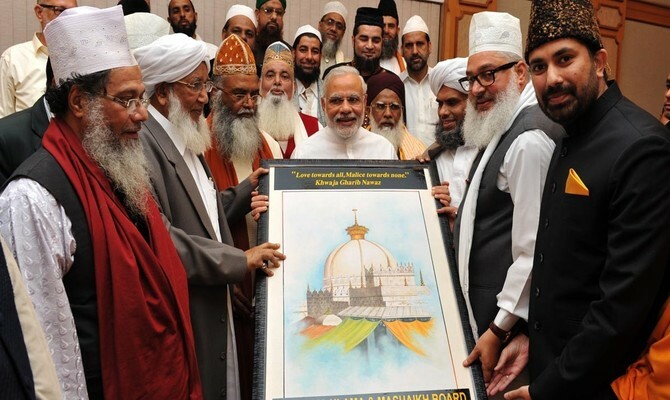 "Mr Modi why Indian Muslims are not able to trust BJP?" Yes, that's what ABP News' Rubika Liyaquat asked the Prime Minister in an interview (54:00): "Modiji, why Indian Muslims are not able to trust BJP? 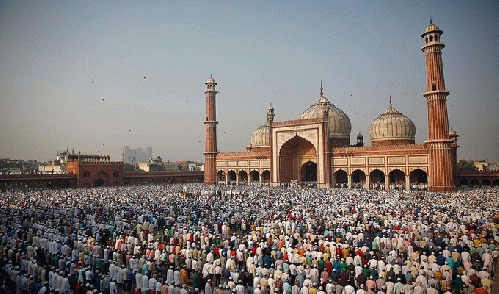 What is Narendra Modi's 'rishta' (relationship) with India's Muslims?" Simple. Straight. From one of the rising anchors of Indian TV news industry. 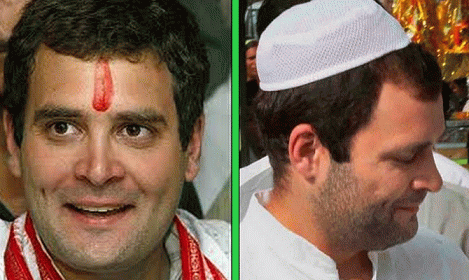 In Wayanad, Rahul Gandhi in bad company of extremist Muslims, says CPI(M) Congress President Rahul Gandhi, in choosing to contest from Wayanad in Kerala, has opened itself to the charge of siding with allegedly Muslim extremist organizations, which could lead a Hindu backlash against him and his party in 2019 general elections. Congress-JD(S) on street when no I-T raids are on them. Why? 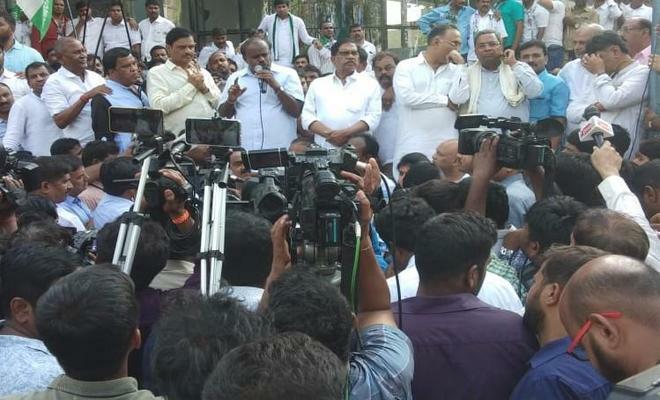 HD Kumaraswamy and all the biggies of Congress-JD(S) alliance in Karnataka hit the street together on Thursday against what he termed is a "political vendetta" in the form of Income Tax raids. Only, none of the IT raids concerned any politician in Karnataka! 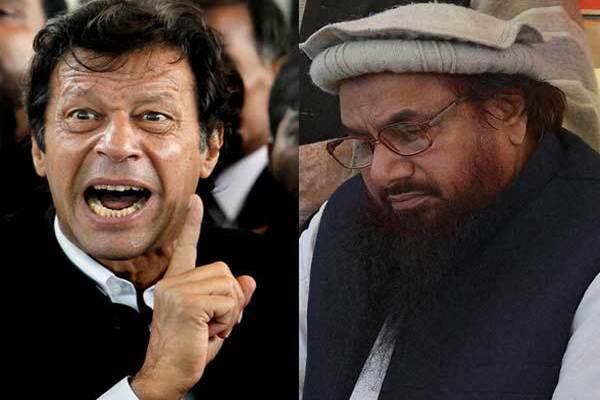 The gushing pro-Imran lobby now wouldn't ask for "proof and evidence" His swooning and gushing crowd in India would go berserk now that Pakistan's Prime Minister Imran Khan has acknowledged his country has terror groups and that the "Naya Pakistan" wouldn't allow them to function with impunity on its soil. They wouldn't bother to seek "proof and evidence" of this resolve unlike Balakot. Modi's blog on Lohia: Oppn. 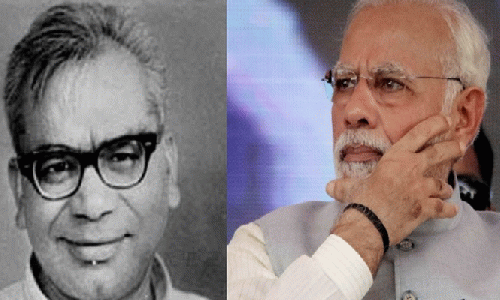 and media in damage-control mode Now that Modi has written a blog on the socialist leader Ram Manohar Lohia on his 110th birth anniversary (March 23), the Indian newspapers have chosen to publish the reactions of the opposition rather than give ample space to the blog content. 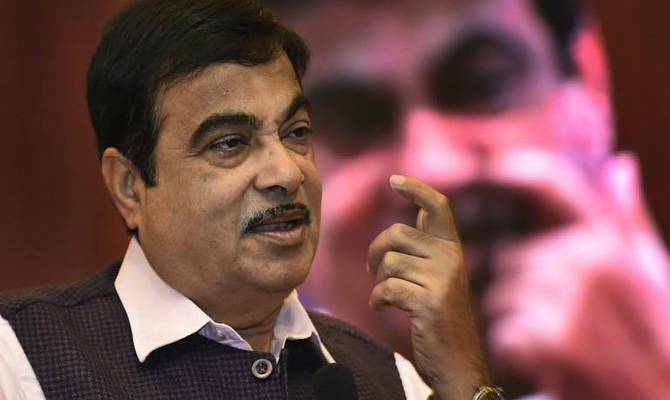 Nitin Gadkari at the receiving end: Is there a pattern? 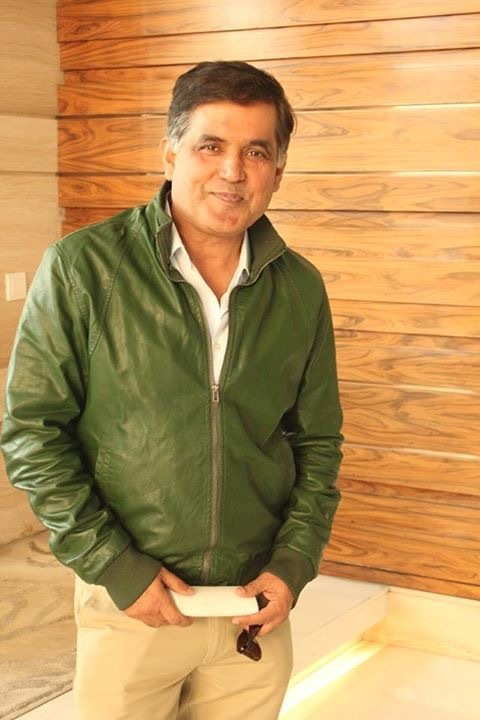 Indian Express has a massive interview of Union Minister Nitin Gadkari in its edition today (March 23, 2019). For those interested in going through the entire interview, one needs to log on to their website. Apparently, the one in print is an abridged version. But I second-guessed it in time. 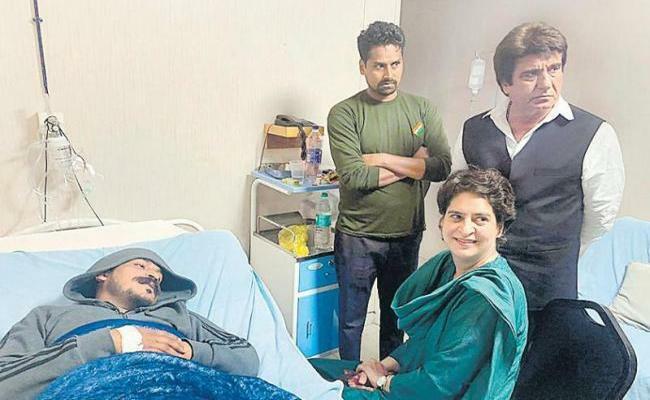 Bhim Army pours scorn on Priyanka Gandhi-Vadra Priyanka Gandhi-Vadra has just suffered the humiliation of her life with Bhim Army, a pro-Dalit party, declaring that it would have nothing to do with Congress party in the forthcoming Lok Sabha elections. 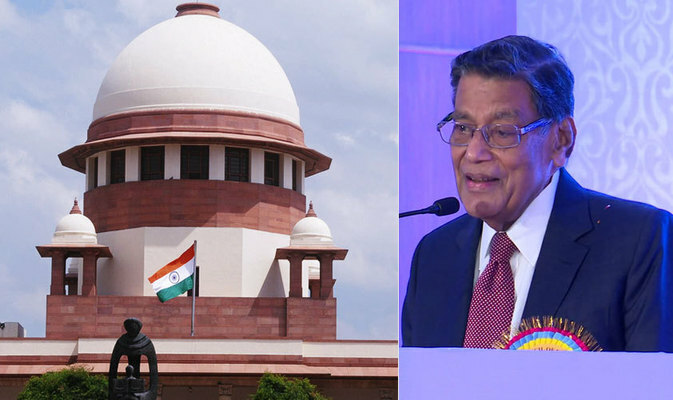 Welcome SC on RTI in Rafale; How about "contempt of court" now? The reaction of the Supreme Court, rather of one Justice K.M. Joseph, that Right to Information Act cannot be held back because of Official Secrets Act, if it pertains to charges of "corruption and human rights", is a valid point and must be welcomed. 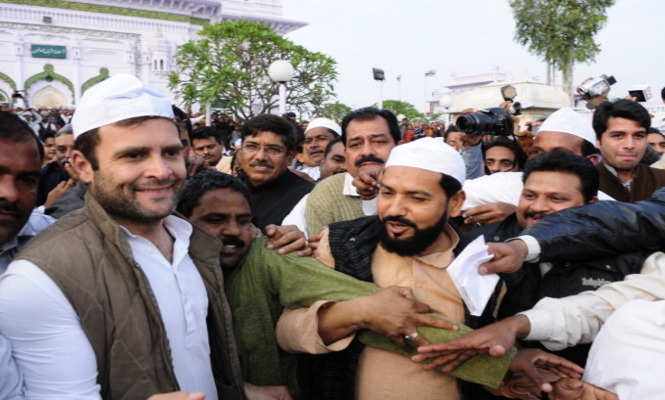 Indian Muslims: Look at Congress manifesto to know if they stand by you Congress had nominated only 27 Muslim candidates in the 2014 Lok Sabha elections-a paltry 5.6 per cent of its total candidates. 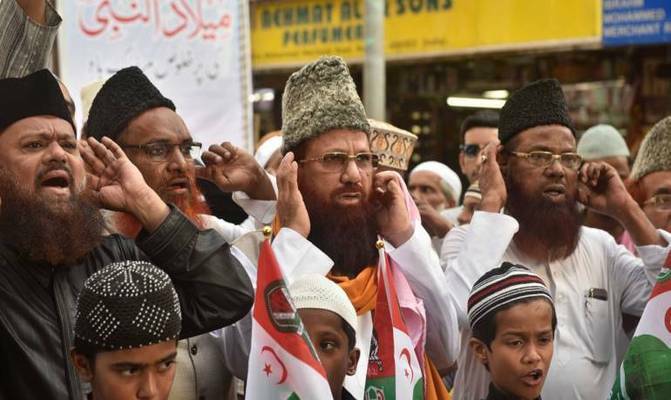 This wasn't true only of the remote-controlled Manmohan Singh's government of UPA 1 and UPA 2 between 2004-2014 - even under Jawaharlal Nehru and Indira Gandhi very few Muslim candidates were nominated by the Congress in Lok Sabha polls. Christchurch attack: Past is casting a long shadow on present and future Identity plays such a strong role in the lives of individuals and nations. It's beginning to assert itself either side of the great divide in our times. BJP without allies? Joke is on you Congress! The polling dates of 2019 General Elections in India are out and the BJP is ready with its allies. The Congress? Well it's like a bride in a "swayamvar" (self-selection of groom) without any prospective bridegroom. 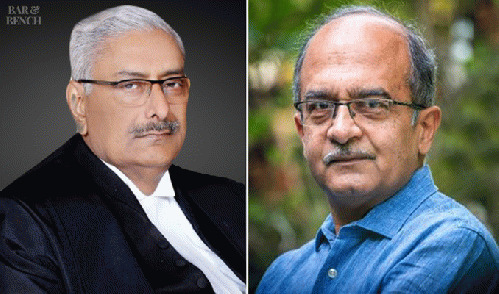 Why Muslim petitioners won't budge on Ayodhya dispute Why Muslims don't want to give up on the Ayodhya issue? Well, Hindu bodies also don't want to do so for obvious reasons but the fear of our large minority needs to be examined closely. 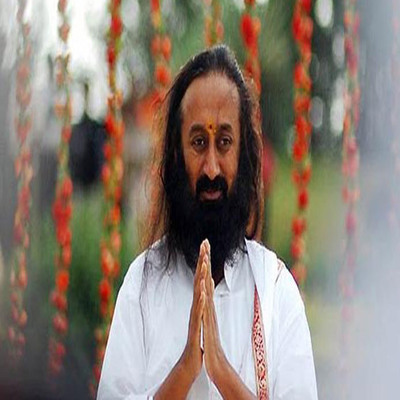 Not Sri Sri Ravi Shankar, as per The Hindu and Indian Express There is a massive heart-burning in The Hindu and Indian Express today on the appointment of spiritual leader Sri Sri Ravi Shankar by Supreme Court as one of the mediators in the long-simmering Ayodhya dispute. Word almost similar against Sri Sri Ravishankar's have appeared in the Wire (through its editor Sidharth Bhatia), the Quint, the Scroll and of course National Herald. 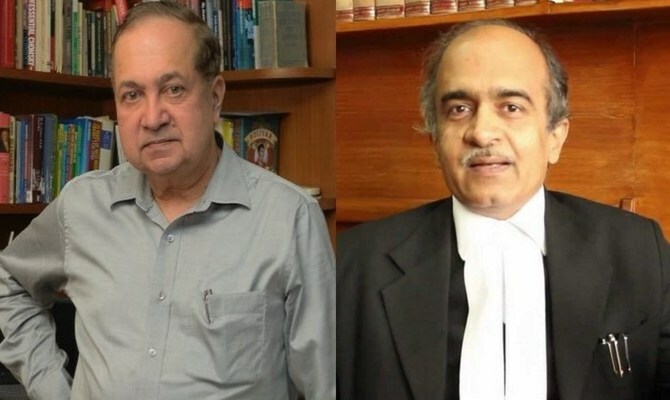 Prashant Bhushan may have pushed his luck too far this time Civil Riots... err... Rights Lawyer Prashant Bhushan literally gets away with murder. But this time he might have pushed his luck too far. Official Secrets Act: Fake equivalence of Bofors with Rafale Official Secrets Act couldn't have been applied on Bofors since the "leak" had happened abroad. Even if The Hindu published a few original papers thereafter, the ruling Congress party couldn't have invoked Official Secrets Act because of one man--Viswanath Pratap Singh.